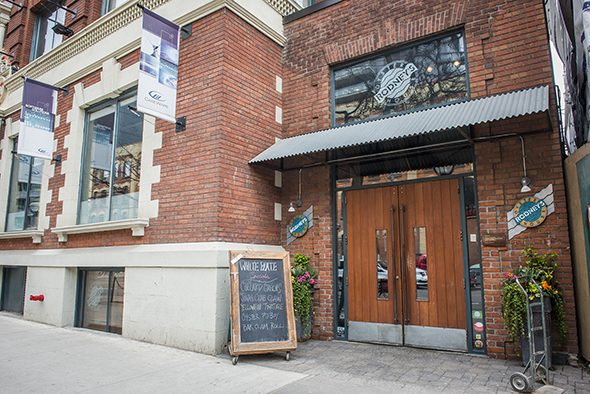 Rodney's Oyster House has been a Toronto institution since 1987 and is one of the most popular oyster spots in the city. 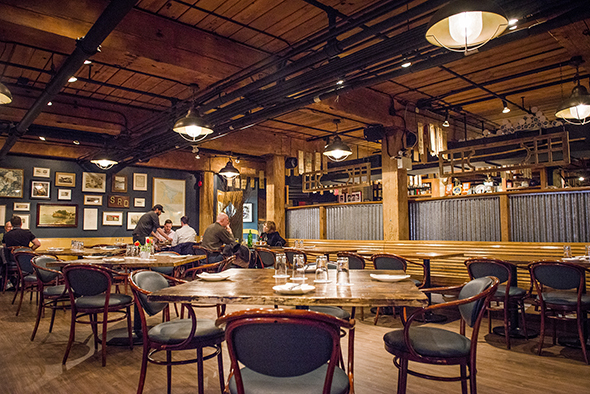 Not only has the restaurant established itself as one of Toronto's top sources for seafood, but it has become one of the renowned importers and wholesalers as well. Initially, Rodney came to Toronto by way of PEI to work as a graphic designer. His father would send him boxes of oysters on the back of a potato truck with instructions to drop them off at people's homes. Often he'd be invited back to shuck the oysters at parties helping to build relationships with Toronto's preeminent oyster lovers. 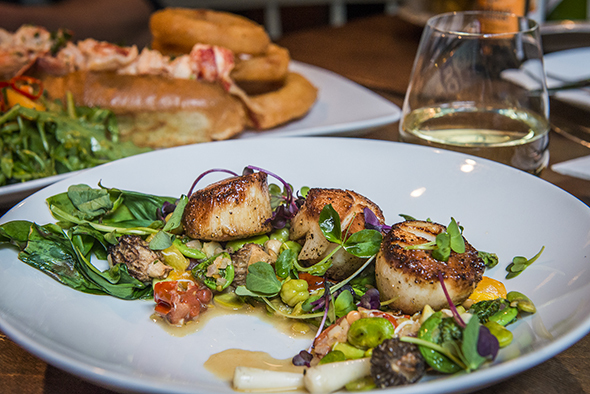 Today the King West restaurant is still a Toronto destination for seafood lovers. Near the front entrance there are tanks of live crab, lobsters and spot prawns. The nautically themed dining room is decked out with warm wood and adorned with shells signed by celebrities, mounted fish, photos and quirky mementos. Oysters are a must and longtime patrons know to get their orders in ASAP, even before ordering a drink. The list changes daily based on what's fresh, but expect to find a seasonal assortment culled from both Atlantic and Pacific coasts as well as a select few from European waters. 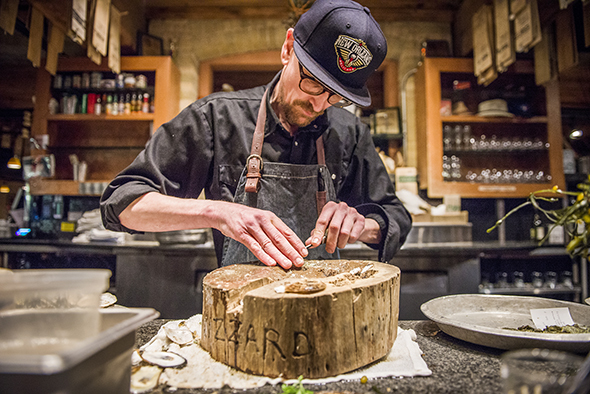 Many like to leave it up to the oyster shuckers to select whatever looks best. Today this includes small but deep kumamotos, massive flats from Maine and even some little littleneck clams. They're delicious au natural but come with freshly grated horseradish, lemon wedges and an array of house-made sauces such as a sweet cocktail sauce and fiery scotch bonnet sauce. 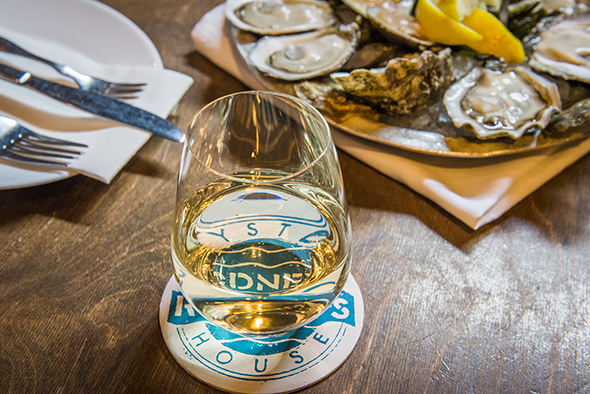 Craft beer (from $7 per pint) and dry white wines like the house Sea Legs Oyster White (from $9 a glass) are prominently featured at the bar and selected for their oyster-friendly flavours. The selection of cocktails is limited to Caesars ($12.50) crafted with Walter's mix and spiked with vodka, scotch or bourbon. 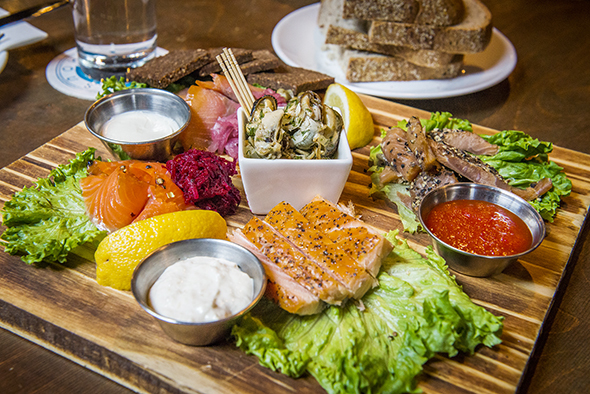 From the list of menu fixtures, the first thing we try is the Smokers Platter ($23), an assorted spread featuring peppered steelhead trout with beer horseradish, candied salmon with red pepper jelly, flakey hot smoked salmon with creamy horseradish, marinated mussels and Danish-style smoked salmon with cream cheese, red onions, capers and squares of sweet pumpernickel. 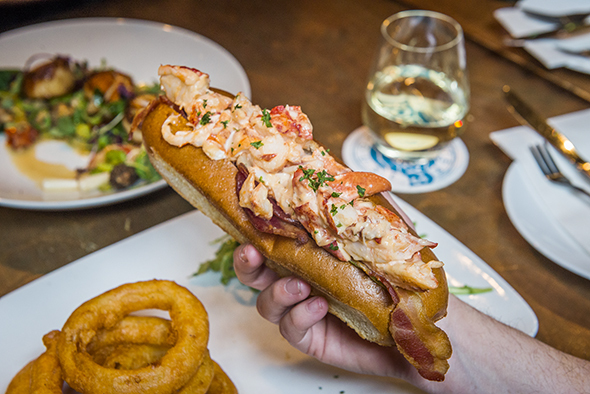 Another staple on the menu is the lobster roll ($29), a toasty split top bun overflowing with claw meat dressed in brown butter aioli and paired with a strip of bacon. It is indeed a very good and meaty sandwich. Sides of beer battered onion rings and an arugula salad round out the dish. 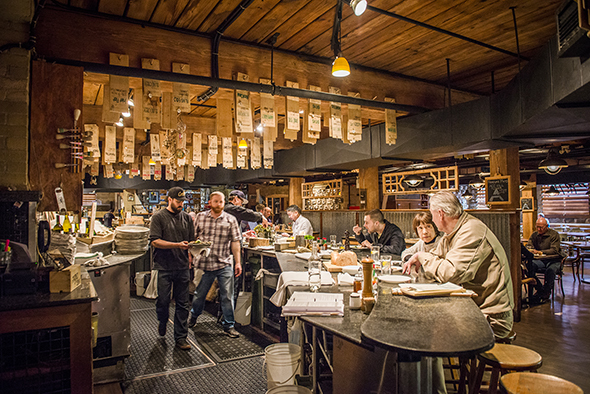 Daily specials (MP) are how the kitchen spotlights seasonal ingredients in their prime and this extends well beyond seafood. The stunning dry scallop dish I'm served on my recent visit is an excellent example. The scallops themselves are sweet and caramelized to perfection, but it's the spring vegetables, a medley of fiddleheads, sprouted garbanzo beans, wild leeks and morels that makes this an ephemeral pleasure that I feel lucky to have sampled. 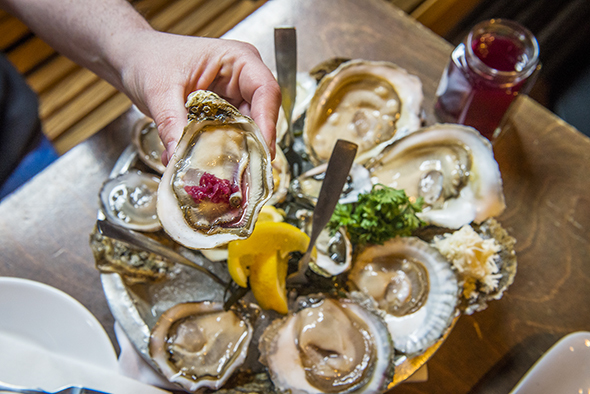 Canadian oysters are at their best from May to December, and they get better towards the tail end of the season as the molluscs plump up in anticipation of winter weather. I've marked my calendar for a repeat visit in the fall, though I'll be back before then... oysters on a patio might just be my definition of heaven.